From the Modern Library’s new set of beautifully repackaged hardcover classics by William Faulkner—also available are Snopes, As I Lay Dying, The Sound and the Fury, Light in August, and Absalom, Absalom! William Faulkner was born in New Albany, Mississippi, on September 25, 1897. He published his first book, The Marble Faun (a collection of poems), in 1924, and his first novel, Soldier’s Pay, in 1926. 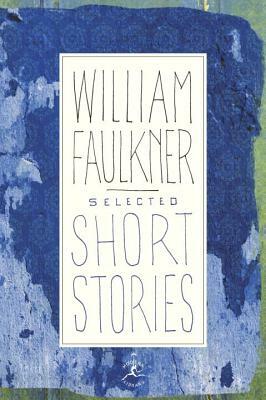 In 1949, having written such works as Absalom, Absalom!, As I Lay Dying, Light in August, and The Sound and the Fury, Faulkner was awarded the Nobel Prize for Literature. He also received the Pulitzer Prize for two other novels, A Fable (1954) and The Reivers (1962). From 1957 to 1958 he was Writer-in-Residence at the University of Virginia. He died on July 6, 1962, in Byhalia, Mississippi.